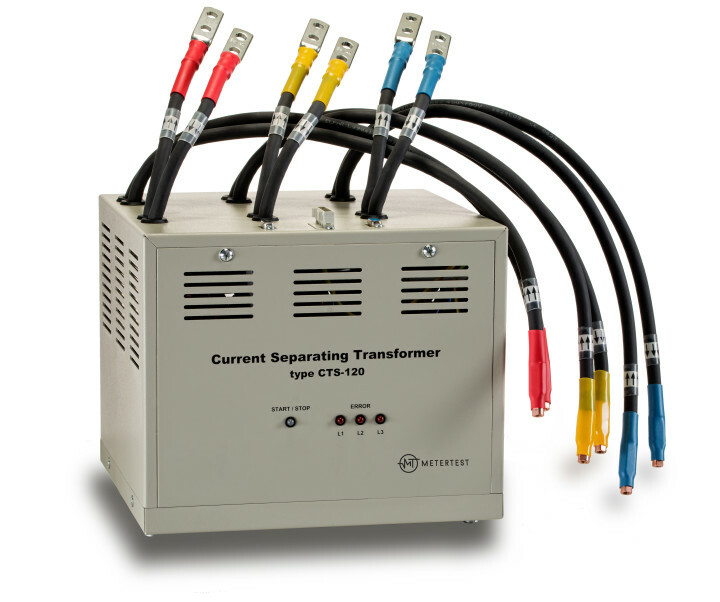 The CTS is a family of current separating transformer designed for galvanic separation of the measuring circuits. A built-in electronic compensation system simultaneously guarantees excellent parameters throughout the entire current range and a high output power. Typical accuracy of ±0.01% makes the device an ideal solution for a wide range of applications. It is possible to use the transformer to test electricity meters with connected current and potential circuits (closed I-P links). A broad range of primary and secondary currents, a high output power, high allowable load impedance and enhanced accuracy enable the CTS to be integrated within a meter testing system. Once integrated, it can work both with directly connected and transformer connected meters, and both with closed and open I-P link meters, all with negligible influence on overall system accuracy. The CTS can be controlled and supervised either remotely by the ASTeL meter test equipment, or locally by means of the START/STOP switch. Bad contact or open circuit in the secondary circuit is indicated. Furthermore, in case of the open circuit the internal short is made in order to prevent operator injury and electric shock. Thus, working with open secondary circuits is possible and allowed. CTS is available in a wide range of variants, with different output power and primary/secondary current ratio. Three and single phase versions are intended for testing regular meters while two phase versions are intended for testing single phase meters with neutral current measurement. (2) For the current range from 100mA to the maximum current.